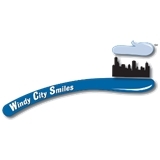 Windy City Smiles (Chicago) - Book Appointment Online! At Windy City Smiles we know your life doesn’t revolve around your teeth, but high-quality dental care is important to you. Therefore, our bi-lingual and specially trained staff is dedicated to providing the highest quality care in the least amount of time to get you back enjoying the things your life does revolve around. Everything was perfect! She explained everything and took her time working on my teeth and answering my questions. Very honest and treats you like family. I will be bringing my family to her next. Thank you!